The Rainbow Lodge and Inn proudly offers cabins and individually decorated rooms with southwestern exteriors and modern interiors. All rooms have heating, air conditioning, color cable T.V., and are only minutes away from several attractions. Free wireless internet is available in public areas along with free continental breakfast. 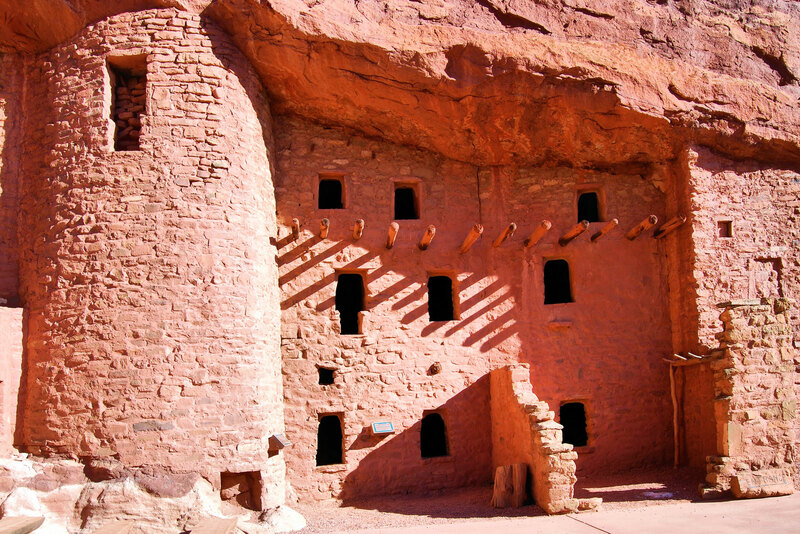 The Lodge is located in the center of Historic area attractions of Manitou Springs and Old Colorado City, just across from Garden of the Gods. 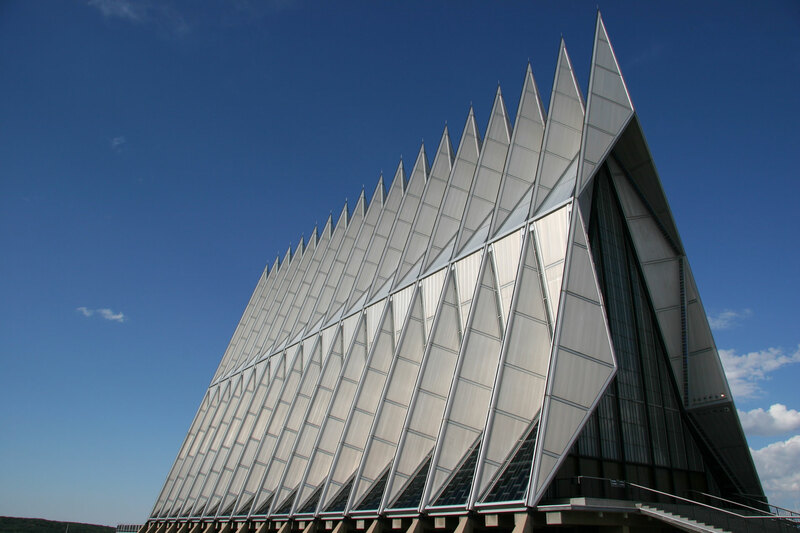 There are more activities, events, vacation opportunities, and fun things to do in Colorado than you can imagine. Vacations in Colorado can mean hot air balloon rides, jeep, ATV, motorcycle or bicycle rental or tours, snowmobile, sleigh rides, dog sledding, fly fishing for rainbow, brown and brook trout, sailing, jet-skiing, water skiing, boating, kayaking or canoeing (rentals, equipment, instruction, guided tours and floats), or get wet and wild whitewater rafting, tubing, skiing, snow shoeing, and cross country skiing (check out our ski areas, rentals and tours), horseback riding, hiking, bicycling, rock climbing, upland bird hunting, big game hunting for deer, elk, moose, antelope, bear, mountain lion, mountain goat, big horn and dall sheep. 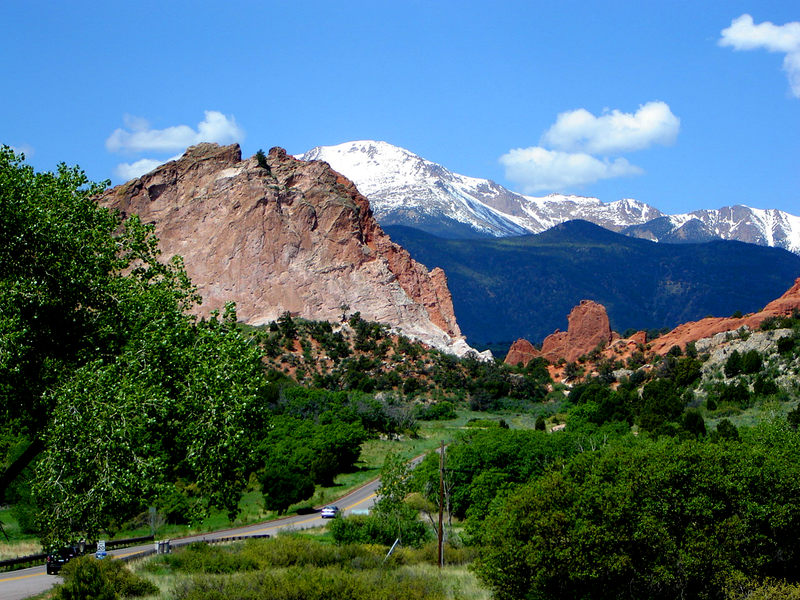 Come experience the beauty of our mountains and our western hospitality on your Colorado vacations. 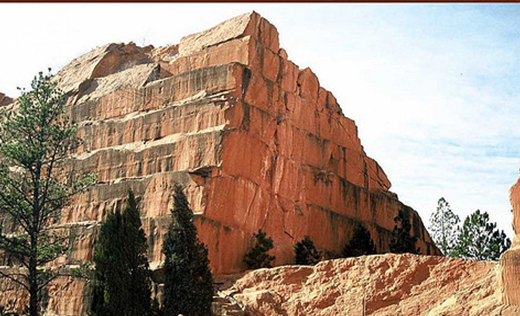 Red Rock Canyon is a true gem of the Pikes Peak region. The open space is characterized by a series of canyons and ridges sculpted by erosion of the area’s uplifted rock strata. 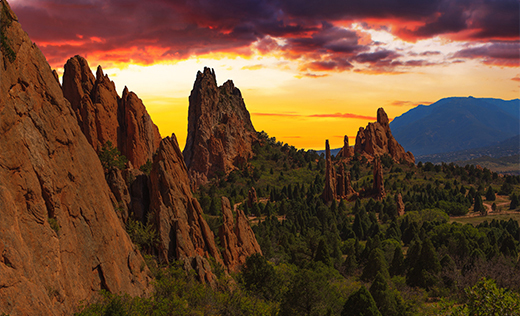 Located at the base of Pikes Peak, this National Natural Landmark and popular park features stunning geological formations, rock climbing, nature trails and the Garden of the Gods Visitor & Nature Center. 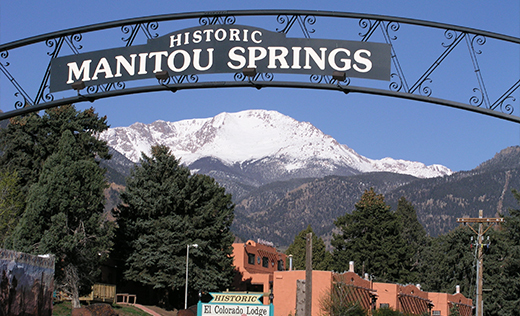 Hidden between Garden of the Gods and America's most famous mountain, Pikes Peak, lies the magical town of Manitou Springs, just minutes from Colorado Springs. 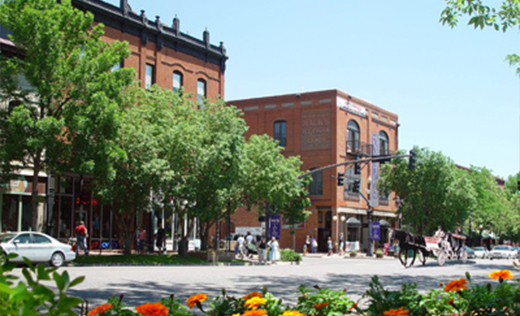 With over 100 fine galleries, specialty shops, boutiques, restaurants and services available, Old Colorado City is a great destination for your family. 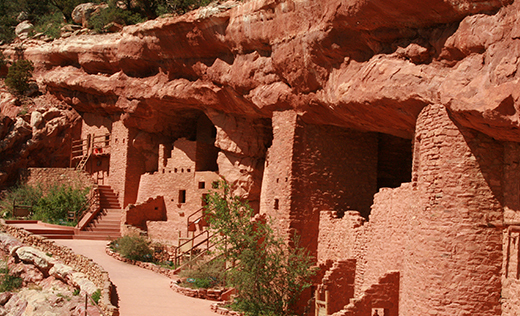 Explore the fascinating architecture of the ancient Anasazi and browse through two museums featuring cultural displays all overlooking the historic town of Manitou Springs. Cave of the Winds is an amazing attraction in Colorado. 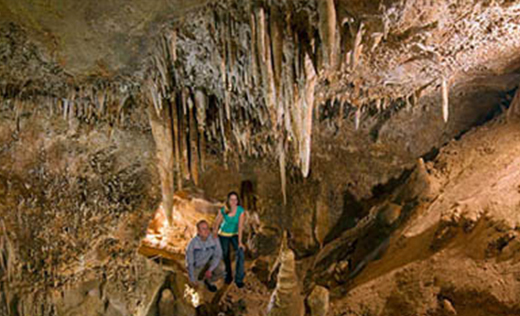 Your family can enjoy an unforgettable adventure into the 500 million-year old world underground. 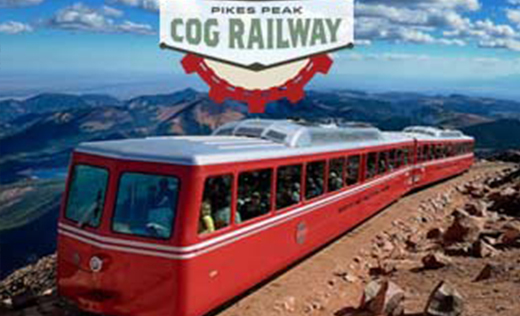 Take the Pikes Peak Cog Railway, the highest train in the US, to 14115 feet -near Denver and Colorado Springs; see panoramic views and wildlife. 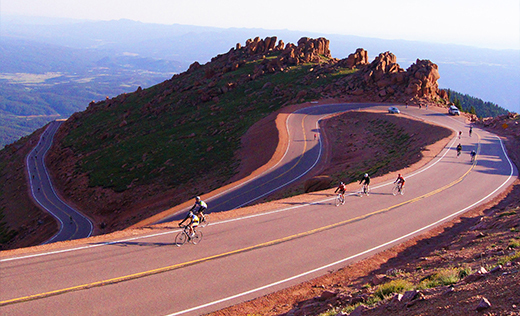 The Pikes Peak Highway is a 19-mile toll road that runs from Cascade, Colorado to the summit of Pikes Peak in El Paso County, at an altitude of 14,115 feet. 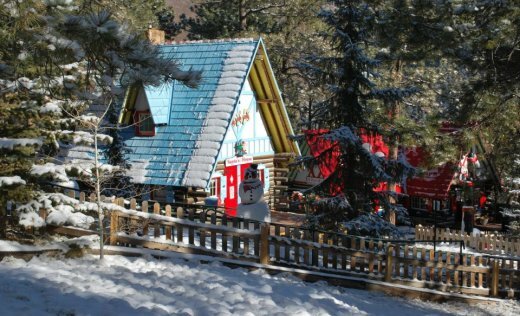 Santa's Workshop, North Pole, Colorado, is a Christmas themed amusement park that has lots of family fun things to do in Colorado near Colorado Springs.